Garage Storage Cabinets of Houston. The best cabinet prices in town! Your Houston Slide-Lok Dealer will be happy to assist you with installation of your Slide-Lok garage storage solution. 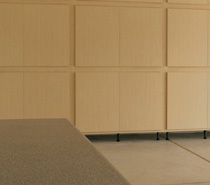 Click here to contact your Houston Slide-Lok Garage Interiors & Storage Cabinets dealer.